Hi, In this post i am going to explain simple steps to implement and hosting your website in google app engine for free. There are many hosting servers hostgator,godaddy … etc. But we have to pay amount them for hosting space.Google is providing a free hosting space with 1 GB daily bandwidth. It will be useful for static html pages. But it is doesn’t support for php,.net … We can implement mobile version of your websites using google appengine with free of cost. I too implemented a small app you can check this. 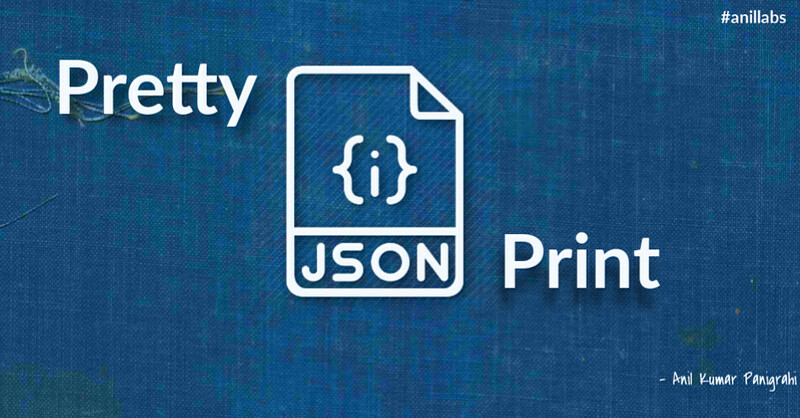 By following steps we can implement a website with google hosting space. If you are not registered already, it is asked for your mobile number with country code with dropdown option.By enter your number then google will send you a message “Google App Engine Code : xxxxxxx”. Activate your account with insert this code. Create a application name and check this if it is avialable or not. Download the below files. It is very easy to use. 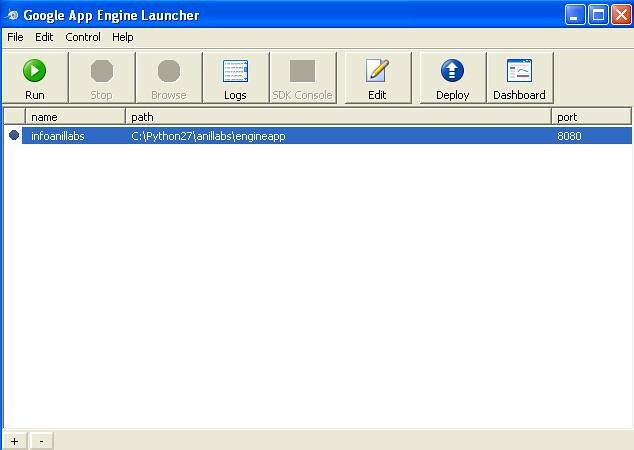 We have to first install Python and then Google App Engine SDK for Python. 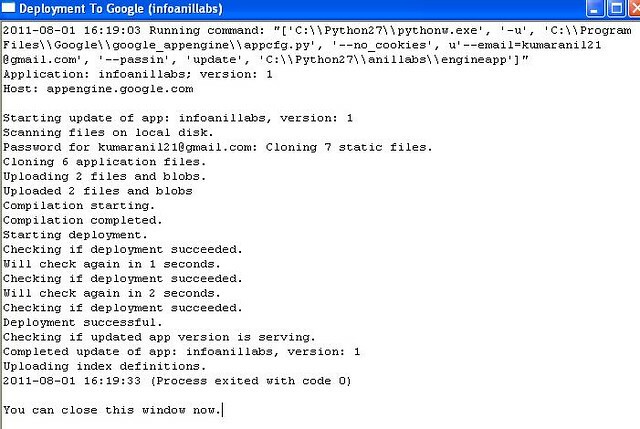 We can download this file extract the files to c:/python/engineapp/ and open app.yaml and change the app name “infoanillabs” to your identifier name. 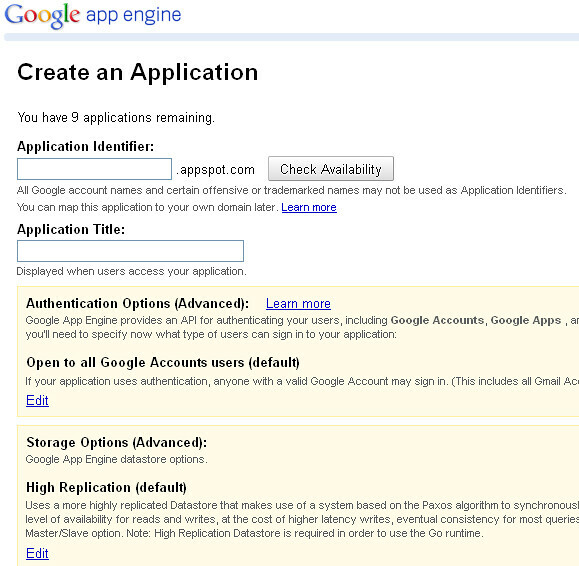 You can deply your application to goole by clicking the deploy button at Google App Engine SDK for Python. It will ask for google email and password. Your code will deploy to google. @ Tanisha , If want to append any files with existing app, Just add that file or modify the file in the development folder. Once commit the files to google app engine then only modified or new files only uploaded or updated and remaining will be same.